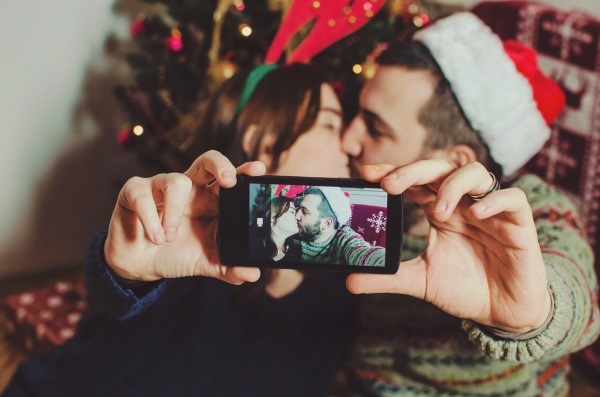 While dating is something you can do all year long, there is something about the holidays that makes people get serious when it comes to finding love. I mean yes, you do have to be emotionally ready for it (do not jump back in right after a breakup!). Basically once you’re good and ready, whatever that means to you, this time of year - the week between Christmas and New Year’s, with the Sunday night after New Year’s being the busiest night of the year, is the hottest time to give online dating a go. Think about it. The holidays are a perfect time to reflect. And if you’re single, well one can assume that you’re probably also thinking about finding someone to spend those long winter nights with. And after you reflect, it’s time for those New Year’s resolutions. I can attest to the latter because my phone starts ringing off the hook in January! Just like with the gym (I hate when my machines aren’t available right after the new year), the dating market gets crowded in January. Researchers believe the increase in volume may also come from the spare time people have over the holidays, and how they gravitate toward their computers and phones. I don’t know about you, but I definitely took a brief respite from family time over Thanksgiving to listen to my podcasts on my phone. As for the New Year’s resolutions, in order to “find love,” “fall in love,” “meet someone,” or however you’ve expressed it, you have to do something about it rather than just put it out into the universe. That something, according to the statistics, is to look for love online. It’s important to remember, though, that online dating does take work. It’s not simply about writing a few lines as quickly as you can, especially on sites like OurTime or SingleParentMeet, where people are looking for something more specific, like a partner over 50 years old or a single parent, respectively. And it’s not about just waiting to see who messages you in the first week. It’s about being unique, interesting, proactive, and, perhaps most important, patient. Equally important is taking the time to ensure you’re putting your best foot forward with flattering, recent photos, a profile that truly represents who you are without sounding generic (“I am just as comfortable in a little black dress as I am in jeans and a t-shirt” will not make the cut), and a positive attitude. If you’re not ready to join this holiday season, that’s okay. The right time for you may be in the summer or next year. I can’t urge you strongly enough not to miss out on joining an online dating site when you do feel ready because you think it’s a “bad time of year.” Many clients use this as an excuse to procrastinate on joining. So, maybe this year is the year to find love and maybe it’s not, but for what it’s worth, signing up and going full speed ahead with online dating on December 26th isn’t a bad idea. At least you know you’ll be in good company. If you’re ready to begin your holiday journey towards finding love, look no further. Check out our top dating sites and fall in love this winter.